A strong track record of acting for a variety of directors and individuals. Personal guarantees mean that you pledge personal assets which the lender can seize if your company defaults. Lenders require guarantors to take independent legal advice on the personal guarantee – we can do this for you. Our fees for a review and signature to confirm you have received independent legal advice are £450 plus VAT and £290 plus VAT for each additional person. We explain in easy language what the personal guarantee means in practice. We review and sign documents quickly and reasonably priced. You can meet us at our central London office at short notice. We can look for robust solutions to reduce commercial risk wherever possible outside of the guarantee obligations. A company has a separate legal status, and is responsible for its debts. Thus, lenders cannot easily recover the company’s debts from directors or shareholders. Similar rules apply to limited liability partnerships. Means of recovery include injunctions and court litigation which can be lengthy and expensive. So lenders often demand personal guarantees from directors which can be relied on by the lender. If the company defaults on its debt repayments. the lender has additional security. No power to negotiate repayment terms. Can claim the whole amount from any single guarantor. Often the bank takes security over the guarantor’s assets. Then the bank can sell the guarantor’s assets to meet the debts, without going to court. These assets usually include your family home. However, if the guarantor co-owns their home with their spouse, then banks usually require co-owners to also provide the security. Usually, banks insist the guarantor and co-owner take independent legal advice before giving the secured guarantee. This reduces a co-owner’s ability to challenge the guarantee’s enforceability, by arguing undue influence or misrepresentation. A personal guarantee combined with security over assets in a single document is called a ‘third party charge’. Under this agreement the director’s liability is usually unlimited. If the property sale does not generate sufficient funds there is no further recourse to the director or his remaining assets. Often lenders add indemnities to personal guarantees. Indemnities can have a greater impact on personal liability than a guarantee. This is because a guarantee depends on the business repaying the debt. The amount guaranteed should not exceed the amount the business owes the lender. However, an indemnity is independent of the business and lender’s relationship. It can even apply after you’ve paid off the debt. The person giving the indemnity pays those losses. For instance, an indemnity might require you to pay the banks’s legal and court costs to pursue the debt repayment. There may be an opportunity for a guarantor to limit risk. The opportunities will vary from company to company. We summarise some ideas which we have put into practice. We enhance the limit provisions within the Companies Act. We give guarantors the right to access whatever business records they consider necessary with reasonable notice. The Companies Act only extends to directors and gives no time scale. The articles or shareholders’ agreement can provide enhanced rights. The articles or shareholders agreement can be revised to provide that given sufficient funds, the guarantor gains the right to direct the company to repay the loan. This type of clause stops others being paid before the bank loan is paid off. We draw up a list of issues to which the business cannot agree without the guarantor’s consent. In effect the guarantor gains a right of veto. The Companies Act requires 75% of shareholders to vote for a voluntary winding up. We change this provision to require the guarantor’s approval as well given the financial stake at risk. A director giving a guarantee is accepting additional obligations and risks. We often amend director service agreements to cater for these obligations and risks. For example, you need to think through what would happen if you were dismissed. Without expressly dealing with the point the personal guarantee continues which may be far from desirable. There can be legal issues or loopholes with personal guarantees and sometimes there are opportunities to negotiate. Whilst the best option is usually to find ways to limit the personal guarantee, we do have clients who instruct us to challenge the enforceability. If you need good legal advice on this aspect, we can help. Please do contact us if you need lawyers for personal guarantee review or advice. 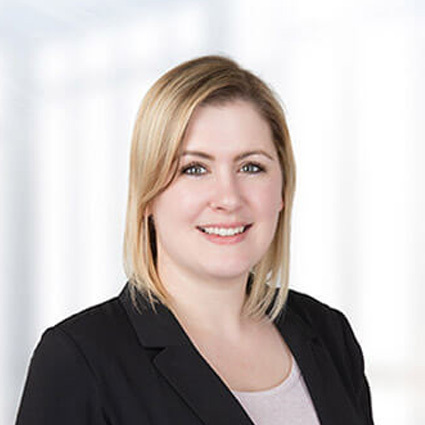 Qualified as a Solicitor since June 2017, Charlotte has a prior background working in Dubai’s legal sector. She advises on a wide range of corporate, commercial and employment law matters.